Preview Thursday&apos;s huge IMPACT WRESTLING broadcast on SpikeTV at 9/8c - if you can&apos;t watch the action on Thursday, make sure to set your DVR! 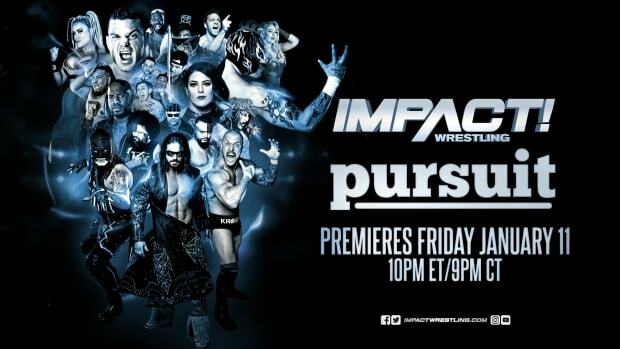 - Thursday&apos;s IMPACT will feature the aftermath from Slammiversary! Overcoming all the odds stacked against him, Eric Young won the three-way Steel Cage Match against Austin Aries and Bobby Lashley to retain the World Heavyweight Championship! What&apos;s next for EY and his World Title reign? Tune in Thursday to find out! - Plus, how will the Director of Wrestling Operations MVP react to what happened at Slammiversary? Not only did MVP miss out on his shot at the World Title due to injury, but Kenny King and Bobby Lashley failed in their bid to win the gold as well! Plus, MVP still has to deal with TNA President Dixie Carter as she reasserts her power in TNA! Is MVP&apos;s empire crumbling - or will he continue to rule with an iron fist? Find out more on IMPACT! -Ethan Carter III continues his incredible debut year in TNA as he defeated Bully Ray in a Texas Death Match at Slammiversary. After his stunning win what is next for EC3? - Thursday&apos;s broadcast will also feature the return of TNA Knockout Taryn Terrell! - All this and much more on Thursday on SpikeTV, including news from Slammiversary with the big announcement that Team 3D is going into the TNA Hall of Fame, Sanada retaining the X Division Championship, Angelina Love still the top Knockout, and much more! As we pointed out yesterday, Eric Young is set to put his championship on the line. Tommy Dreamer is also confirmed to appear on this week&apos;s show. Other stars that are advertised for the show include: MVP, Willow, Kurt Angle, Magnus, Bobby Lashley, James Storm, Samoa Joe, Velvet Sky, and Angelina Love. You can check out the event information at this link. If you are attending, you can send us a report of the event through this link. We will have exclusive live coverage and discussion of the show right here on WrestlingNewsWorld.com starting at 8:30pm ET. Don&apos;t miss it!